Fantastic Outdoor Las Vegas Adventures. Get outside!!! While you’re visiting Las Vegas, don’t spend all of your time indoors going to shows, spinning the slots, or enjoying all the great cuisine the city has to offer. 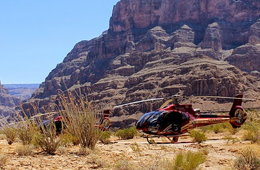 Make sure you take a bit of time to enjoy some great outdoors Las Vegas Adventures. If you’re ready for thrills and excitement, here are a couple of the best outdoor activities to check out while you’re in Sin City. If you like getting an adrenaline rush, you’ll love this incredible flying experience. 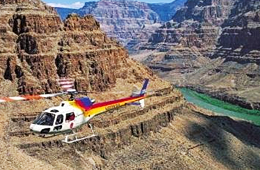 You’ll get to enjoy flying high in the sky where you can look down on all the beauty the Nevada has to offer. 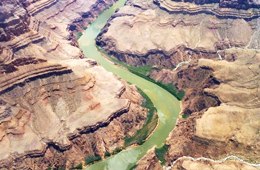 However, you’ll do a lot more than just see the gorgeous valleys and mountains of the Mojave Desert. Go with the Top Gun Experience and you’ll actually get the chance to fly the plane. 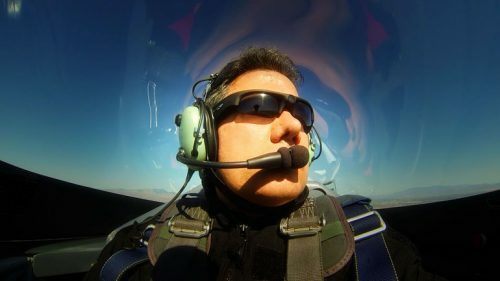 With this option, you’ll get briefed on high-G maneuvering and aerobatics, then you’ll get all suited up to fly with a fighter pilot while learning the basics of fighter jet maneuvering. You’ll love being in the Extra 330LC, which is the top aerobatic airplane in the world today. While you’re up in the air, you’ll get to do some basic maneuvers, such as tumbling, hammerheads, and rolls. You can also choose to upgrade to the Air Combat Experience, which allows you to bring along a buddy. You’ll have a highly-trained fighter pilot instructor to supervise, but you’ll be the one using all the controls. 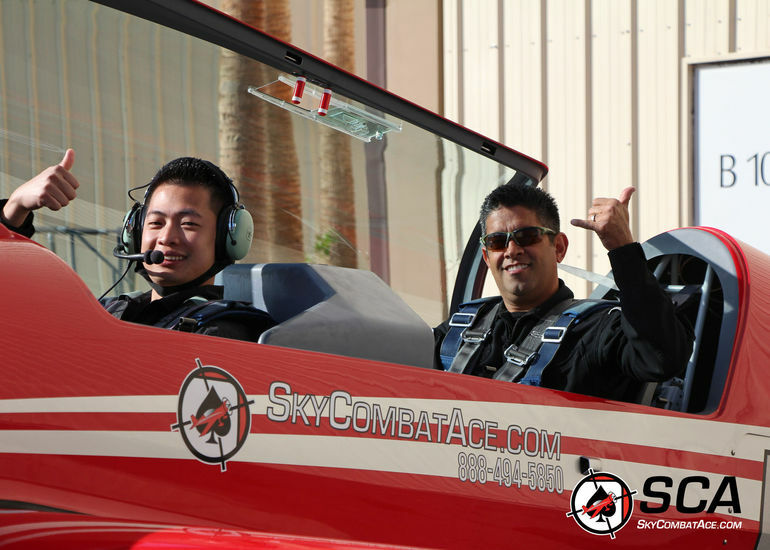 Once you’re done enjoying your air combat experience you can relax and enjoy swapping stories with combat fighter pilots as a part of your experience. Enjoy getting out of the city, off the beaten track, and out into the dirt with an extreme dirt bike tour. 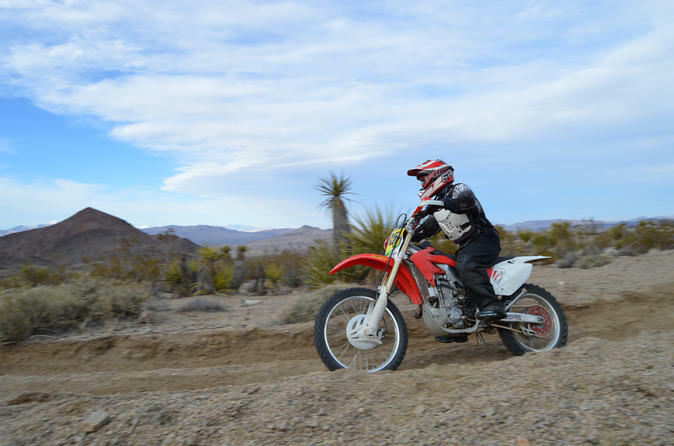 You’ll get to take in Hidden Valley and Primm on an exhilarating and challenging ride that takes you through both mountain and desert terrain. Everything you’ll need is included, so you don’t need to bring a thing. Both dual-track and single-track trails will be a part of your tour, and you’ll bike your way to mountain overlooks and get the chance to see some legendary off-road racetracks. Depending on your riding abilities and the size of your group, you’ll get to cover 20-50 miles on a dirt bike. Keep in mind, this is a challenging adventure, so it’s important to have experience on a dirt bike if you want to head out on this tour. From dirt biking to flying high in the sky with combat fighter pilots, there’s so much fun to be had outdoors in Las Vegas. Consider one of these tours or check out some of our other outdoor adventures to get your adrenaline pumping.